Hi there! Earlier this month I participated in a team up with Simple Stories and Just Nick cut files. I love using cut files, and these layouts were no exception. 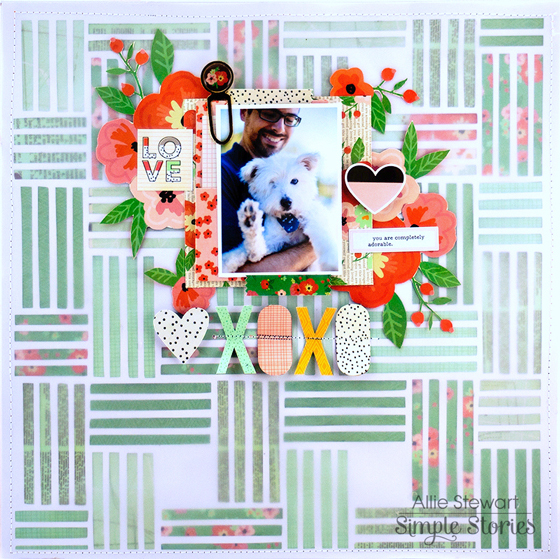 For my first layout, I used the Basketweave Background cut file and The Reset Girl collection! I cut the Basketweave from white cardstock, and backed each rectangle with green patterns featured thoughout The Reset Girl collection. Next, I sewed vellum over the top so it made the background a little less busy. Starting with a Library Pocket as a layering piece, I placed my photo and layers on the page. I cut flowers from the "Like a Boss" paper, and added them behind the photo. 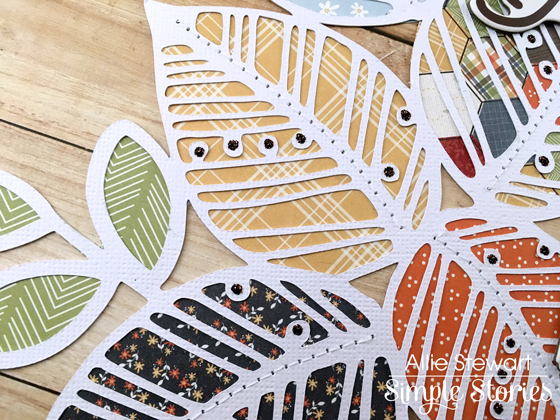 My title came from another patterned paper: I think fussy cutting is a fantastic way to get more mileage out of your collections! I added a few more embellishments, and the layout was complete! 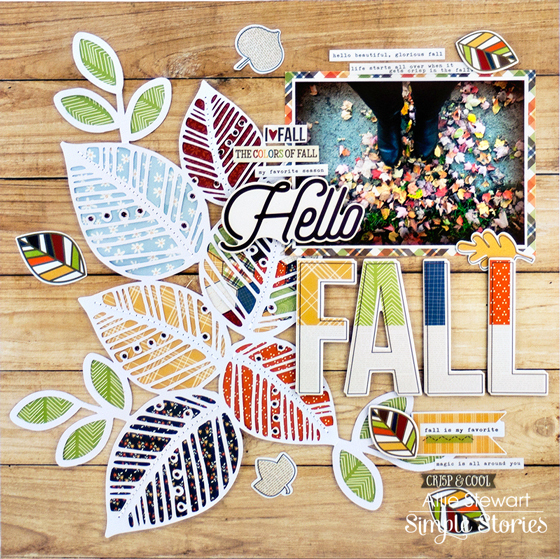 My second layout was created using the Hello Fall collection and Leaf Cluster cut file. I backed the Leaf Cluster with patterns from the 6"x6" paper pad. I use up almost all of my 6"x6" pads by backing cut files! Once I had the cut file on my background, I stitched down the middle of the leaves to add interest and secure the cut file to the page. Next, I used bronze Stickles for the dots of the leaves. 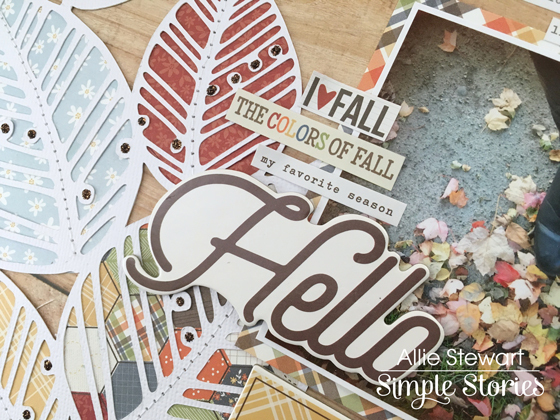 I loved the large" FALL" in the chipboard set, and immediately wanted to use it as part of my title. 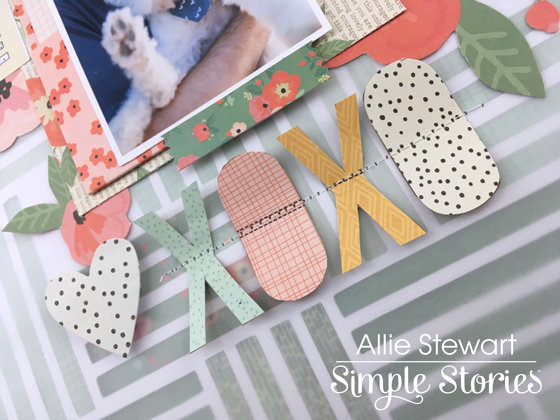 I added the "Hello" chipboard with it to create the full title, which happens to be the name of this collection! To finish the page, I added lots of word stickers and some die-cut leaves. 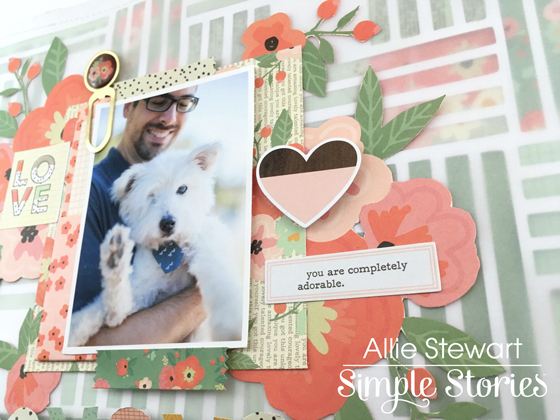 I was so inspired by the Just Nick files and had so much fun pairing them with Simple Stories products! Thanks for joining me today!